AFA has found the best kept secret in Russia. 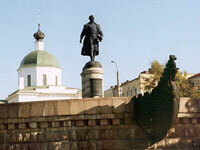 The gorgeous city of Tver has now been added as a bonus city to the Nizniy Novgorod Romance Tour. There is something alluring about women in Tver. Some say it is their extraordinary beauty, others say it's their devotion to family, but whatever it is that attracts you to them, you will ultimately find that women from Tver have kindness, intelligence, and a sense of humor. Your romance tour offers you the unique opportunity to meet hundreds of beautiful Russian women while at the same time visit the most beautiful cities in Europe. We've chosen Tver as our new tour destination, because of several reasons. The city has a large number of attractive single motivated women, who had little opportunity to meet western men, you may anticipate a great reception at the socials. The other reason is that Tver has a small-town feel to it, you will find their open hearts and smiles will make you fall in love with this ancient Russian city. The hotel accommodations will suit the needs of even the most demanding traveler. If you are searching for a city that is home to some of the most beautiful women in the world, while at the same time is relatively smaller and not quite as popular as other destinations, then Tver is your city. Our Romance Tours provide you with an extremely effective means to meet as many women as possible so you can find that special someone. We will implement several different vehicles for you to meet the hundreds of Tver women via the thousands of women on our vast database including three large Social gatherings, New Applicant Interviews and, of course, our constant One-on-One Introductions via our office, and the hundreds of profiles on file there. Your tour will consist of countless meetings and introductions with the women of Tver and Nizhniy Novgorod. 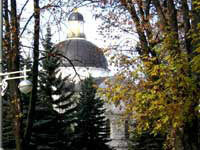 Tver is an absolutely charming city, its charm is matched only by the women residing there. Your Tver/Nizhniy Novgorod Tour is something that you will never forget, and may very well change your life forever.